You’ll have to read the replies below for the amended picture to make any sense – if even then. Lots and lots of Myrtlevillians. 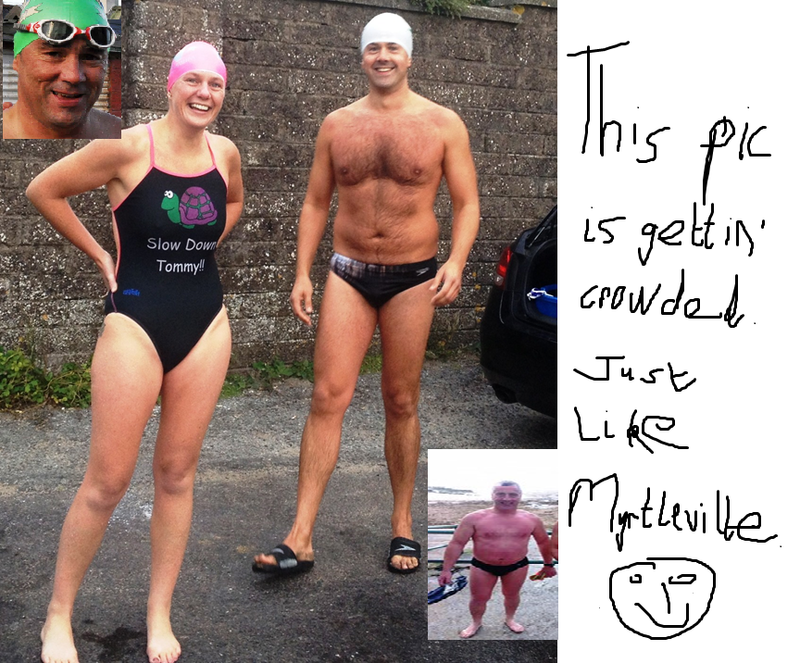 This entry was posted in Events, Information and tagged Open water swimming - Cork, Open water swimming - Cork - Ireland, Open water swimming races, Sea swimming - Cork, Sea Swimming - Cork - Ireland, Sea swimming races by myrtlevilleswimmers. Bookmark the permalink. Ok, you’re right. I should have put in Trevor. So, I’ve added him as an inset. Then I thought, sure that’s not fair on Rob. He’s there loads of times too and he’s being left out….so, I added him as well. Bet he’s happy.